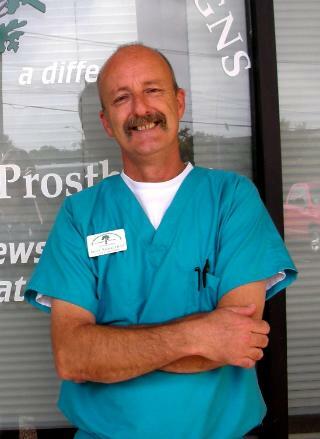 I have over 25 years of experience as an orthotist; 13 of which have been spent here in San Antonio, TX. I have worked for 3 of the largest O&P facilities in San Antonio and finally decided to open my own practice. 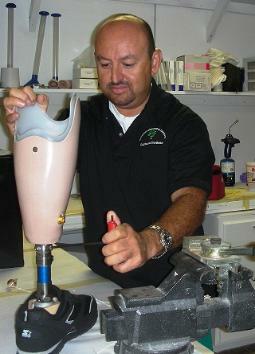 I was trained as an Orthotist at the Academy of Health Sciences at Brooke Army Medical Center in 1982. I was honorably discharged in 1993. Kids are my specialty, but I am certainly not limited to Pediatrics. I do work for "children" of all ages, 0-90. I truly enjoy my work. I thrive on creating new and innovative designs to use in my Orthoses. While most patients do well in standard designs, sometimes we need to think outside the box to achieve optimal results. I consider each case individually and believe in individualized care plans. I have learned a great deal in my years and like to share the knowledge. I teach every year at our annual state meetings; I taught five hours at a recent Oklahoma meeting and I was invited to teach. I am proud of the practice we have built and cannot wait to see what the future holds for us. 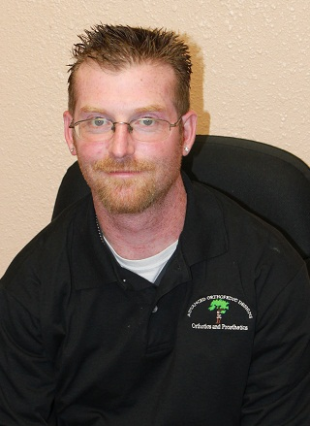 Alex has been with the company since it's inception. He started as a senior in high school working part-time, then full-time when he graduated from Roosevelt in 2007. Alex is currently a junior at UTSA where he is a math major. Once he gets his degree he will start at Northwestern in their orthotic and prosthetic program. He can do just about any job in the lab, but his future is as a practitioner taking care of our patients. talented and caring practitioner with over 15 years of experience.